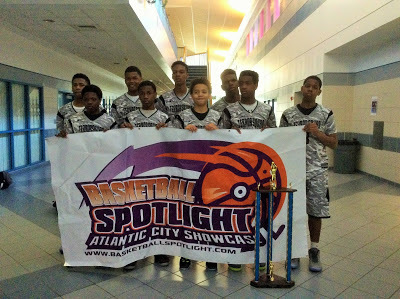 The 7th Grade Division of the Basketball Spotlight circuit introduced a new dominate team to the world. 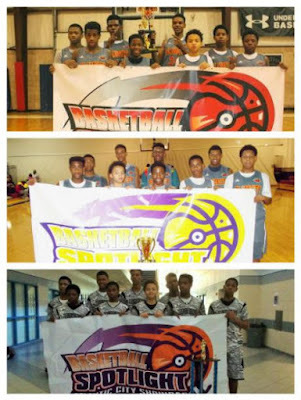 This grade level also produced some top players and really started to take shape. Below is our post season awards. They might have switched names a few times but they were still known as the Terror Squad. The name fits this group as they caused harm to many of the teams they faced. They won the Basketball Spotlight Tip Off Classic, Clash For The Cup and AC Showcase. They also finished runner-up in the loaded NYBL. They have some serious talent with this group and should be a force to reckon with years to come. Toles came into his own this season while playing with a high level of determination. The high flyer was often seen finishing off plays and leading the charge on pressure defense. His style of play and relentless effort helped the Terror Squad get over the hump a few times. His consistent play wire to wire this year earned him this award. Most Outstanding Player: Cameron Byers (Terror Squad) When the Terror squad defections began with super stud Terrence Williams, Byers stepped up and held down the middle. Inside he bullied most defenders on the boards and while scoring in the paint. He also had the task of taking over games late. As the season progressed he turned into a national name. When he was rolling it was virtually impossible to defeat this group. No matter what lineup he had Francis found a way to make sure his boys made it deep in every event. They only tournament in which his team didn’t make it to the finals was Winter Warz where they lost in the semi-finals by a buzzer beater. He did all this while juggling sponsorship, egos and defections. You can say what you want about this guy but numbers don’t lie. Robinson put on a show each time he stepped on the floor at a Spotlight event. He carved his way through the defense with ease and had the ability to hit teammates on the move. His strength and ball handling make it very difficult for defenders to strip the rock or disrupt his flow. The Gauchos have had a history of producing guards and Robinson seems to be next in line. Whether it was scoring himself or setting the table, Hoggard handled these duties for the Team Of The Year. He used his size to see over the defenders and score around shot blockers. This season he also showed an improved outside shot and became more of an all-around leader. 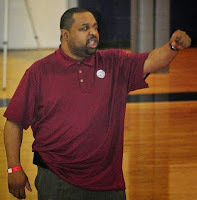 He helped them collect several championships and make a deep run at the NYBL. The Cardinals were known for getting buckets quickly and Murray was the lead catalyst. The combo guard had quickness and scored the rock from all three levels. His ability allowed him to score against man to man or zone defenses. He has a quick release on his shot and knows how to find the tiny gaps in the defense. The big time forward came to the East Coast from Cali to represent. He was a dominant force at the Clash For The Cup and Memorial Day Classic. He has soft hands and good footwork on the blocks. He’s developing his ball handling and play making ability which will make him even more dangerous on the floor. He has enormous potential. 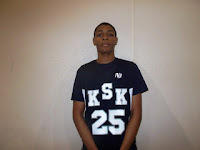 Most Improved Player: Elijah Everett (King Street Kings) Known previously as a defensive force Everett offensive skills to a leap this year. He was the go to guy and best player on the floor at Winter Warz. He has more confidence in his offensive moves and has added a face up jumper to his game. If he continues to grow and develop he might turn into the next big prospect coming from the Garden State. In the layup line Hall automatically passes the look test standing close to 6’6. But once you watch him perform you begin to wonder if the NY Lighting might have a budding super star on their hands. He’s a natural wing but showed he could play on the blocks during the MDC. I also like his motor which is very important. Connecticut has a gem in this kid. Defensive Player Of The Year: Isaiah Todd (Terror Squad) Todd anchored the defense with his length and shot blocking. He also saved this group a couple of times with big plays down the stretch. None was bigger than when RIP City had them on the ropes at the AC Showcase and Todd made an end to end block that turned the momentum of the game. His presence allowed the guards to play the passing lanes and take chances.